On 7, 8 and 9th December 2016, France hosted the 4th World Summit of the Open Government Partnership as co-chair of the Partnership with the World Resources Institute. This event provided an opportunity for speakers and participants to exchange views and discuss issues such as the fight against corruption, transparency, integrity of public officials and open data. A lot of workshops, conferences and sessions were organized throughout these three days, bringing together representatives of the governments of member states, the academic world, civil society and international organizations. They have all taken part in the exchanges by sharing their experiences and good practices and they led the reflection on the governments of tomorrow. 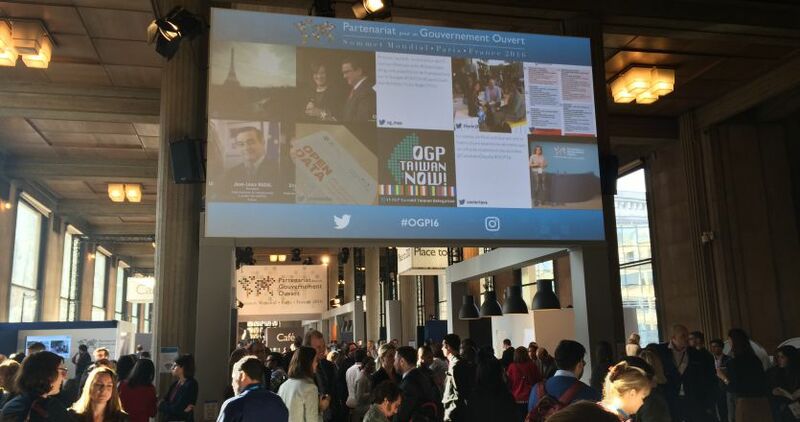 The Open Government Partnership, established in 2011, has always been committed at international level to promoting the transparency of public action and its openness to new forms of consultation and citizen participation, strengthening public integrity and Combating corruption, and using new technologies and digital technology to strengthen democracy, promote innovation and stimulate progress. All these values are those around which the Network for Integrity was created by bringing together 14 institutions each committed in their country to advance the fight against corruption and promote the transparency, ethics and integrity of Public officials. In this regard, the Network for Integrity is a new platform for advancing good governance country by country and internationally. Several members of the Network took part in the Summit and participated in the exchanges. For example, Mr. Bogdan Stan, President of the National Integrity Agency (Romania) participated in the workshop “Transparency of Public decisions makers: How does Digital Technology Renews the Principle of Accountability?”; Mr. Joel Salas Suarez, Commissioner of the National Institute of Transparency, Access to Information and Personal Data Protection (Mexico) spoke at the ministerial round table “Building trust in government”; Or Ms. Cristina Ţărnă, Deputy Director of the National Anti-Corruption Center (Moldova), spoke at the official presentation of the Integrity Network at the Summit, about the importance of creating a culture of integrity. The presentation of the Network was also an opportunity to invite personalities to testify like Ms. Amira Yahyaoui, founder of the NGO Al Bawsala, who came back on the work of her NGO and the importance of greater transparency of public officials and the necessary cooperation with civil society.